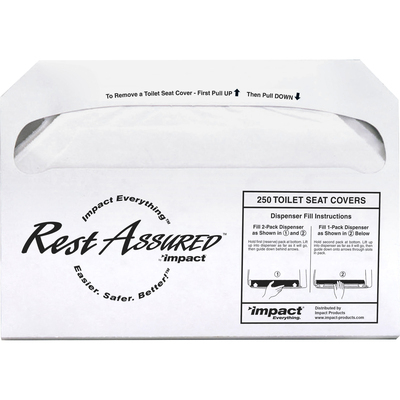 Half-Folded Toilet Seat Covers Provide A Hygienic Way To Cover Toilet Seats To Help Maintain Sanitary Conditions. Durable Material Provides A Protective Barrier To Protect Against E. Coli, Staph And Other Infections That Can Be Transferred By Direct Contact To Public Toilet Seats. Eco-Friendly Construction Is Made From A High Percentage Of Post-Consumer Material To Reduce Your Environmental Impact. Toilet Seat Covers Are Dispensed One At A Time To Prevent Wasteful Use..